The latest MacBook Pro with touch bar (13-inch, Mid-2018) has some of the best features we can ask for in a laptop:: quick SSD, reasonable CPU/GPU boosts and last but not least, Quad-core processors with Hyper-Threading. Also, let’s not forget the beautiful retina display which is a beauty for your eyes. 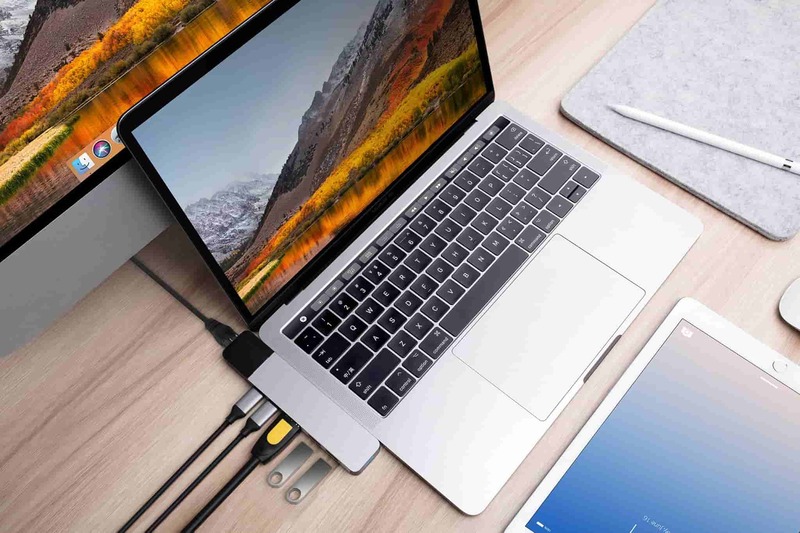 Even though the MacBook Pro has some incredible features, some major negative aspects can be encountered such as the price, which is indeed on the pricey side. However, if by chance you see the eye-catching features of the new MacBook Pro, you’ll definitely think about buying this laptop. The starting price of the MacBook Pro 2018 is $1,799 and includes a 256 GB SSD. Compared to the earlier versions, both the CPU and GPU have gotten upgraded, as well as the Thunderbolt 3 ports. Now, let’s talk about the design of the latest MacBook Pro version. It is basically the same as the model from last year, even the size and the weight didn't change. Compared to the 2017 MacBook Pro, the Retina display screen resolution has not been changed. The 13.3-inch display panel has a resolution of 2560*1600 pixels and is an attractive characteristic for photographic and design work. Nevertheless, one new feature has come through on MacBooks: Truetone. Previously available on iPhone X, this feature changes the intensity of both the display and the touch bar according to the ambient conditions. To conclude, the performance of the laptop is at its best. Delays are rare and in case of a restart, all the apps and windows will open back as if nothing happened.